Summary This is a remix of the awesome Rally Fighter car adapted to the Monster Truck remix I did for the Remix Challenge. All the suspension and tire parts are located here: http://www.thingiverse.com/thing:1977577 I first used Meshlab to reduce the faces on and remove the side view mirrors. 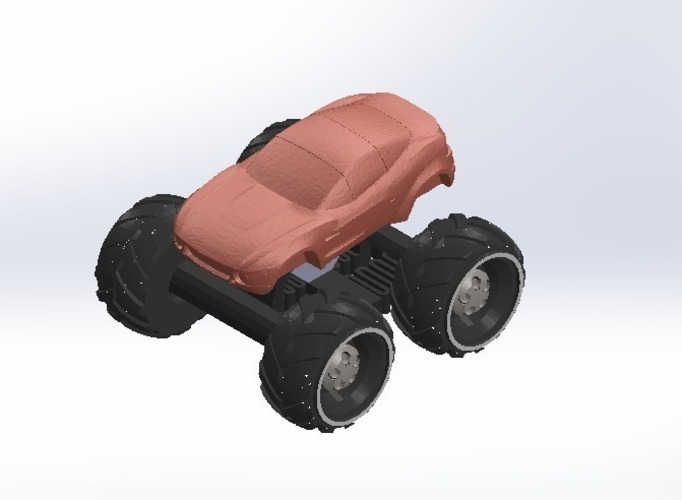 I used netfabb to cut a flat across the bottom of the car, then I imported it into XYZWare to squish it in X&Y to get it to fit to the proportions of the monster truck better. 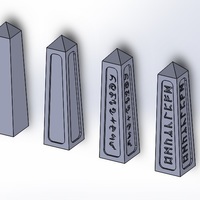 Finally,in solidworks, I cut the groove out of the base. I first saw this car at IMTS in 2012. It was one of my favorite booths.